Red Lion Inn & Suites Auburn/Seattle is a conveniently located destination near attractions such as Emerald Downs Racetrack, White River Amphitheater, Muckleshoot Casino, Wild Waves Water Park, Pacific Raceway and The Outlet Collection, which features 137 stores. There are so many things to do and see in the area and Red Lion Inn & Suites is a convenient and affordable choice among surrounding hotels in Auburn, WA. We are pet-friendly for a $15 non-refundable fee. 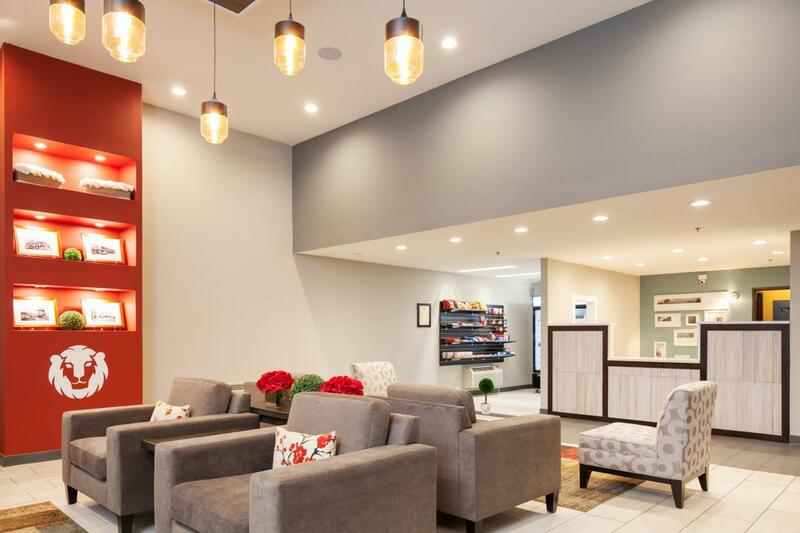 A top choice in Auburn hotels, Red Lion Inn & Suites Auburn/Seattle is suitable for business and leisure travel, pampering guests with such amenities as complimentary Wi-Fi, free breakfast daily, a business center onsite and much more. Enjoy easy access to area businesses and attractions while staying at our Auburn inn. Reserve your stay today at the friendliest choice among hotels in Auburn, WA. Red Lion Inn & Suites welcomes business travelers with a variety of services and amenities designed to make corporate travel to the Greater Seattle area comfortable and stress-free. Our hotel is located near many major Auburn businesses in the area, including Boeing, Cardinal Health and more. Book one of our corporate-friendly Auburn suites and start your day with a free local newspaper and a complimentary expanded continental breakfast. 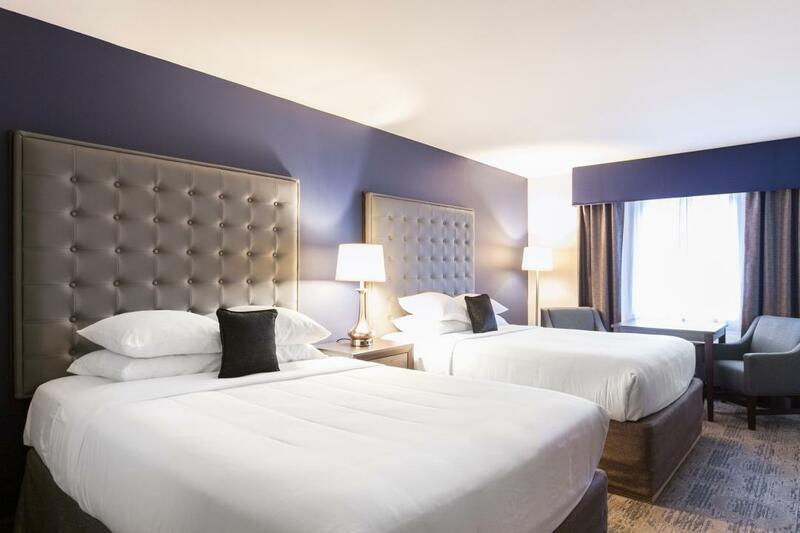 Enjoy free local calls, voicemail service, and high-speed wireless Internet access to make sure you are always connected at our suite hotel, ideally designed for Seattle business travel. Next time you are planning a Seattle area family vacation, consider staying at the Red Lion Inn & Suites Auburn/Seattle near numerous Auburn, WA kids activities. There are plenty of family-friendly Auburn, WA activities in the area and our central hotel location makes us the ideal hotel for family travel. We are just minutes from the best water and fun park in the Seattle area, Wild Waves and Enchanted Village. Point Defiance Zoo is just a short drive and offers all the excitement of a big town zoo. Also within a short driving distance are the Glass Museum, Museum of Flight and the Experience Music Project among other things to do in Auburn with kids. At the end of the day, enjoy a fresh-baked cookie in our lobby and a dip in the indoor spa to relax you on your Washington vacation. While staying with us, enjoy a convenient location within easy access of several Auburn, WA restaurants. Ideal for business and leisure travelers, Red Lion Inn & Suites Auburn/Seattle not only offers premier access to businesses and attractions, but we also offer complimentary deluxe breakfast for the most convenient Auburn dining. The Complimentary Deluxe Breakfast is included in the price of your room for one of the best Auburn, Washington breakfast restaurant experiences. Please contact our General Manager to receive special room rates for your sports team in our Auburn, Washington event space. With our special location only minutes from most sporting venues in Auburn, Kent and Federal Way, our hotel is the perfect choice for your team or Auburn tour group to stay. Our hotel features complimentary continental breakfast, spacious well-appointed rooms for up to four guests/room, a comfortable hotel lobby to gather in and meeting facilities for team meetings and Auburn, WA events. When planning your Seattle area vacation, consider Red Lion Inn & Suites Auburn/Seattle, suitable for business and leisure travelers alike. Our central location grants easy access to a number of things to do in Auburn, WA, including Muckleshoot Casino, Outlet Collection and Pacific Raceways. Review our guide below for our top picks. Try your luck at the biggest casino in the area on your vacation. With over 3000 gaming tables, 100 card tables and 7 restaurants...you can't go wrong. Plan your stay today at the top choice among hotels near Muckleshoot Casino. A day at the races comes in many forms at this Auburn WA attraction. You can simply pay admission and hang out on the track level with your friends or bring a blanket and lay out in the Park. If you want to have a "home base" at the track, reserve a seat in the Grandstand or a table in the Rainier Restaurant. Enjoy the fun and convenience of 140 outlet stores all in one location. The largest outlet mall in the area with numerous things to do in Auburn near the hotel. Pacific Raceways....Where the Excitement is Accelerating for the Entire Family. A new events venue second to none and just a few minute drive from the hotel. Embark upon the most popular water park destination in the area along with exciting amusement rides including the exhilarating Timberhawk and The Wild Thing rollercoaster. The Museum of Glass is a hot destination. Come experience our exhibitions with work by world-renowned contemporary artists and be enthralled by artists in the Hot Shop making artwork from molten glass right before your eyes. With views of Puget Sound, Mt. Rainier and pristine forests, Point Defiance Zoo & Aquarium offers the perfect setting for gatherings large and small. Enjoy all the animals from mammoth African Elephants to the giant shark. The Museum of Flight exists to acquire, preserve and exhibit historically significant air and space artifacts that provide a foundation for scholarly research and lifelong learning programs inspiring an interest in and understanding of science, technology and the humanities. The Museum is dedicated to serving learners of all ages and has programs that meet the needs of all audiences. Red Lion Inn & Suites Auburn/Seattle is a conveniently located choice among hotels near Emerald Downs, a thoroughbred racetrack located just one mile away. Open since 1996, the racetrack, which is named after Seattle's nickname Emerald City, hosts live thoroughbred racing from mid April through the end of September. Races are run Friday through Sunday and holidays the majority of the season. In addition to live racing, the track offers simulcast wagering year round. When planning Emerald Downs travel, consider seeing the racetrack's biggest race, the Longacres Mile Handicap, a Grade III event. To view a full schedule when staying at our hotel near Emerald Downs, visit the Emerald Downs website. Need a shopping excursion during your stay at our Auburn hotel? Visit The Outlet Collection Seattle, the biggest outlet mall in the Pacific Northwest, and find everything you need from all your favorite brands. Featuring stores including clothiers like Nordstrom Rack, Michael Kors, Nike Factory Outlet, H&M, and J. Crew Factory, as well as Bed Bath & Beyond, there are also plenty of food court options like Johnny Rocket's, Auntie Anne's and Villa Fresh Italian Kitchen. The Outlet Collection Seattle is also perfect for families with young children, with the on-site Doxon Playland, carousel and kiddie rides to keep the little ones entertained. If you're seeking savings, you'll find them here, as The Outlet Collection constantly offers a number of deals and specials to help you make the most of your shopping trip and return home with some excellent finds.